Balletto detto il Lunati for clarino and organ. The Music of Italy--Baroque music originally written for trumpet and organ, with Thomas Freas, clarino (valveless baroque trumpet), and Timothy Lewis, organ. Literature by Fantini, Frescobaldi, Gabrieli and Viviani. "If you’re tired of the same old baroque concerto grossi, try these authentic duos for clarino and organ. 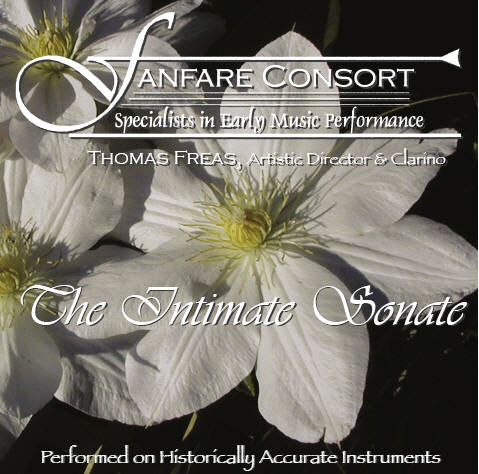 The combination of attractive music, clever juxtaposition of composers, and surprisingly varied timbres from both instruments, gives the CD an appealing freshness." The ensemble, performing on historically accurate instruments, presents modern-day premieres of literature specifically written for clarino (valveless baroque trumpet), two baroque violins and basso continuo (baroque contrabass and harpsichord). Literature by Biber, Corbett, Corelli, Legrenzi, Marini and Merula. with clarino, two baroque violins, baroque contrabass and harpsichord. 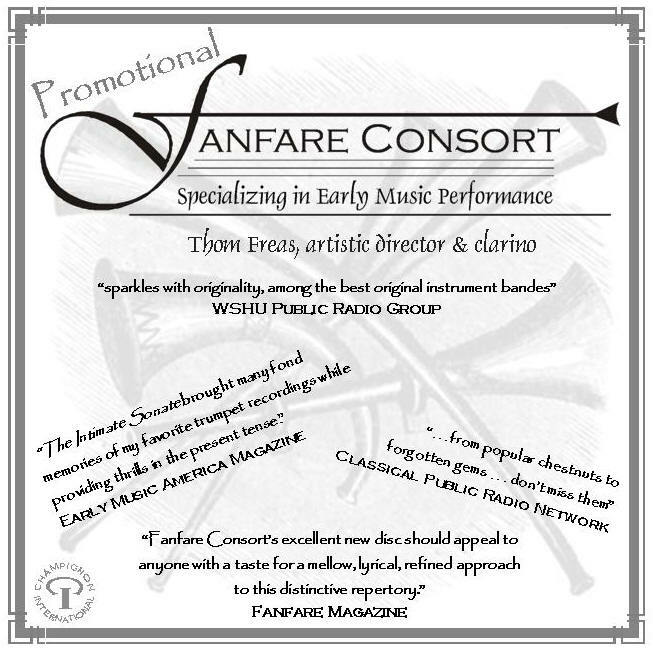 Selected literature from a variety of Fanfare Consort programs and CDs. All literature is available through Fanfare Consort.